The private sector needs to be prepared for trade policy changes that are set to take place and better information and insight will ensure that the private sector contribution to policy formation and trade agreement negotiations will be based on the understanding of the real values of the issues, re-elected Ceylon Chamber of Commerce Chairman, Samantha Ranathunga said. “With the focus of the government on improving the investment climate and trade liberalisation, we see the need to strengthen the capacity of our members to take advantage of trade and investment opportunities.” Ranathunga said. With this in mind, the Chamber will launch a comprehensive knowledge platform ‘Trade Intelligence for the private sector’. Through this initiative, the Chamber will deliver seminars, training programs, disseminate research insights and data as well as bring on board international resource persons to provide cutting edge information. 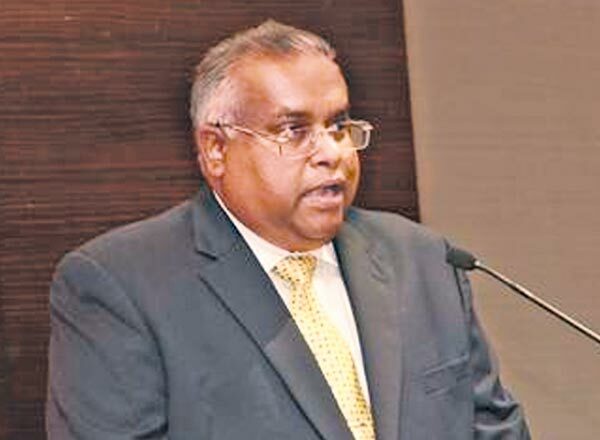 Speaking at the 177th Annual General Meeting of CCC, Ranathunga said a further initiative to contribute to the national development, the Chamber established the National Agenda Committees (NACs). The NACs are a premier thought leadership groups of the chamber that will spur new thinking on strategic and economic issues that provide inputs important for the private sector into Sri Lanka’s reform agenda. These committees are assigned on specific thematic areas of importance to the national development and the members of the committees represent both the private and public sectors. The NACs are assisted by the Economic Intelligence Unit of the Chamber which will proactively identify issues, consider advice from relevant stakeholders and formulate recommendations that will be submitted to the relevant policy makers. The chamber has in addition undertaken a number of SME development initiatives in partnership with the government and the private sector. The Chamber has also undertaken a project to increase the financial literacy, management capabilities and entrepreneurship development around 2400 beneficiaries with the World Bank aided project.